Imagine if your browser always operated in incognito mode, and also blocked all ads and web trackers on the internet. That's pretty much Firefox Focus, Mozilla's latest browser for iOS.Focus has just one tab that you can browse in. There are no bookmarks and the browser does not save history. When you are done browsing just hit the Erase button next to the address bar and it will purge everything that you have been doing. It also hides the contents of the browser from being visible when you are in the iOS multitasking menu. There is a button provided at the bottom should you choose to open any page in Safari. 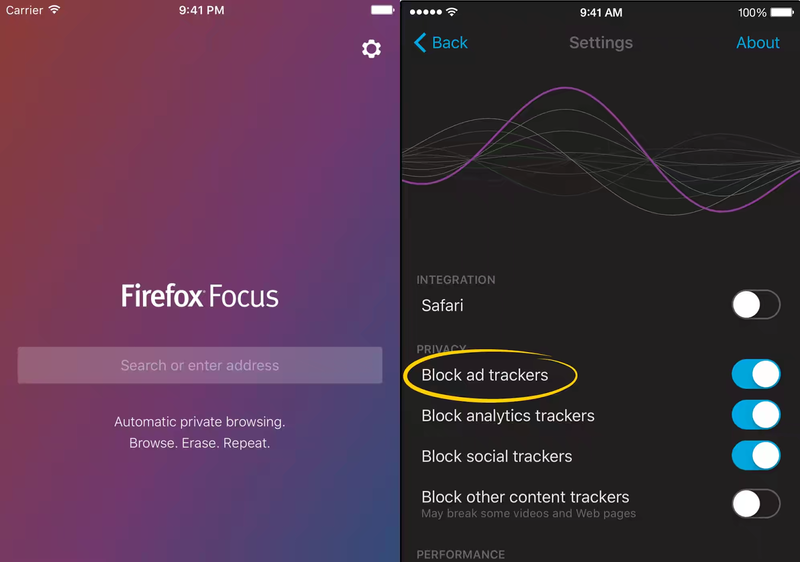 Apart from these privacy features, Focus also blocks ads, analytic trackers, and social trackers by default. You can also choose to block web fonts if you want to further reduce the page download size. Moreover, Focus can also be integrated within Safari, so if you want to use Safari, you can use Focus simply as an ad blocker within Safari. Firefox Focus is now available for free on the App Store.